Summertime brings with it the opportunity for people to gather together and share their outdoor grilling secrets with each other. Some people like to include various spices on their selection, while others prefer to let the meat bring out its own flavor. Whatever your favorite flavor or technique to use when grilling may be, it can be said that there are pros and cons to the type of PSG grill you like to use. Here are some things that you may not have considered when using a natural gas grill or even a propane grill. A grill that is powered by natural gas is easily recognizable. Consider the following facts regarding this type of grill. The cost of natural gas is cheap. Natural gas is generally much cheaper to use than other fuel sources. For someone that is cooking frequently, or for a lot of people, this can be a money saver. It is theoretically impossible to run out of natural gas when grilling. Because this type of grill is connected to your natural gas line that runs off of the main-line from the home. So barring some sort of natural disaster, you should always have gas. Install your grill beautifully into your patio setting. This type of grill can actually be custom-made to fit the design of your outdoor patio area. With all of the advantages of natural gas, it’s easy to get excited about a new built-in grill. The only potential downside to getting to use a natural gas grill is in the installation, and higher initial costs. It will depend heavily on your grilling needs, and situation. Pedestal grills, for example, can be relatively easy to install. If you are planning to install a grill as part of an outdoor remodel, than your contractor will likely be putting in your grill. Although rare in urban areas, some homes simply don’t have gas lines running too them, and will therefore be unable to use NG grills. Fortunately, most of the PGS grills have propane counterparts. 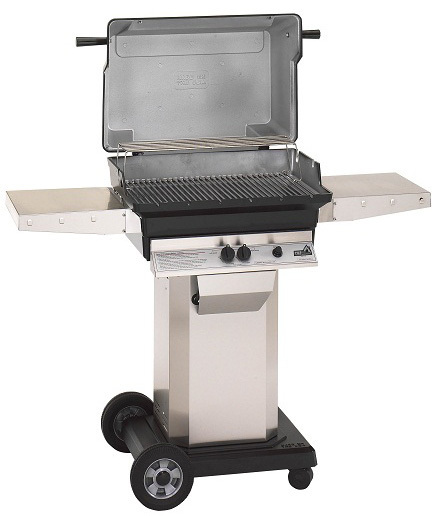 A propane grill differs only in the type of fuel used to to operate it. Here are some reasons you might buying a propane powered grill. Anyone can set up a propane grill and start cooking on it in very little time. A propane grill is easy to run and maintain. Besides normal cleaning and maintenance, the only thing you need to worry about is having the propane on hand. The grill itself can be portable. You can transport your grill around your patio to better facilitate space usage. Or stored when it’s not in use. The propane tank is easy to access. 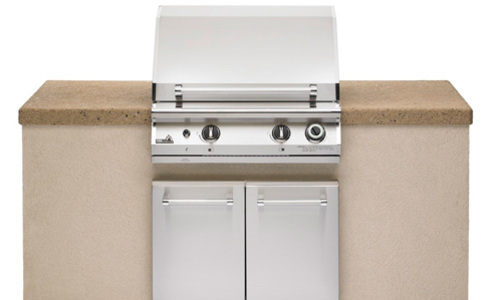 PSG propane grills are built to allow easy removal of the propane tank. Propane does not leave a gas-flavor in the meat. Everyone will agree that the fuel source used to grill with may leave a unique taste in the food. When choosing a grill, it is best to buy one that fits your circumstances the best. No matter what type of PSG grill you decide to use, you will enjoy the unique characteristics that each one comes with. And don't forget the grill timer. Too much time on the grill can spoil your meal. The fuel shutoff grill timer also insures fuel isn’t wasted, regardless of whether you use propane or natural gas. Should you have questions about what grill is best for you or about grilling in general, please contact us. Everyone at PSG wants your next grilling adventure to be the best of the season for your family and friends.